Wood product and sawmills, food processing, chemicals, concrete products, other manufacturing plants. Whatever your business, we have a solution. 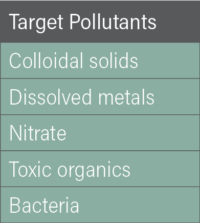 In 1990, permitting regulations were developed by the U.S. Environmental Protection Agency (EPA) under the National Pollutant Discharge Elimination System (NPDES). 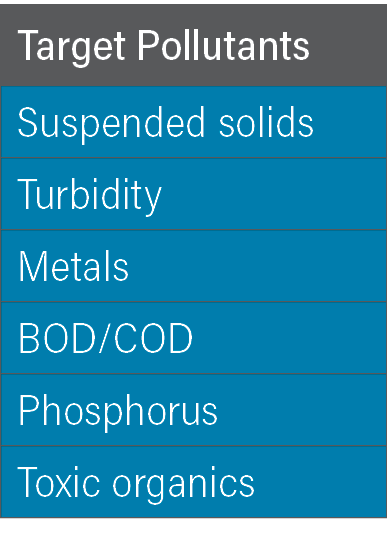 These regulations control stormwater discharges leading to potential groundwater contamination from intentional and nonintentional stormwater infiltration across all industry sectors. Whatever the nature of your business, and the activities you engage in to run your business, you are at risk of releasing contaminants such as TSS, organics and heavy metals into the watershed. You need to stay in compliance. We get it and we have solutions. 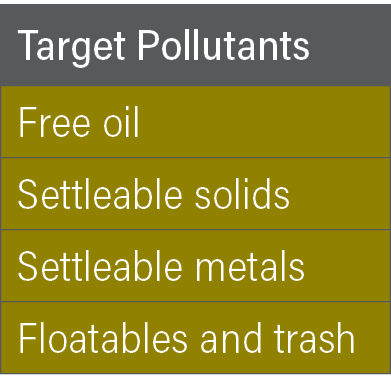 Our treatment and filtration systems are designed to remove many of the pollutants that your site can generate: TSS, heavy metals, oil and grease. 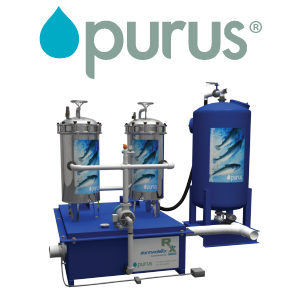 Our treatment trains provide progressively cleaner water to maximize efficiency. 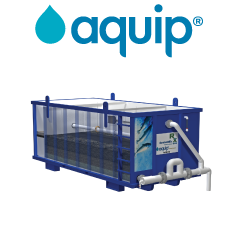 The heart of our treatment systems for metal processing facilities is the Aquip® enhanced stormwater filtration system. 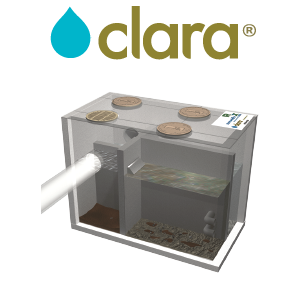 Aquip® may be paired with our Clara® stormwater plug-flow separator or our Purus® stormwater polishing system for ultimate filtration results. Our stormwater treatment systems work, and we have the track record to prove it. Many of our clients are repeat customers and referral sources. Our customers believe in us because our passion for clean water drives us to build the finest industrial stormwater filtration systems available. We know our products will serve the needs of your business, efficiently and cost-effectively.